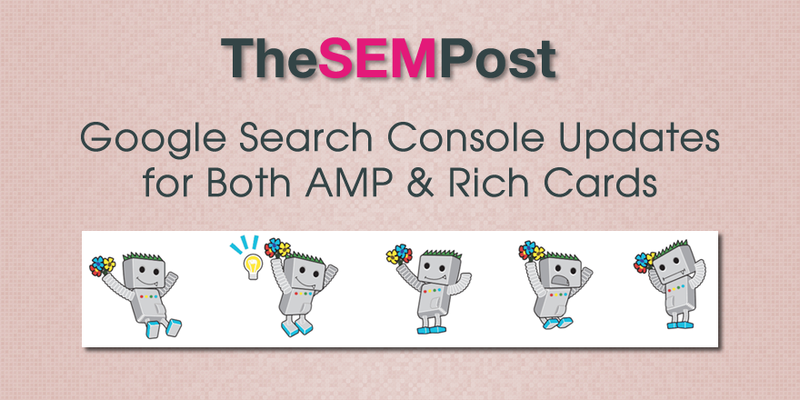 Google has made some changes to both AMP and Rich Cards that will affect how Google is reporting the numbers within Google Search Console. Google noted the changes on the Data Anomalies page, where they report on updates and issues within Google Search Console that can impact reporting. Unfortunately, with this particular update, they did not include any more detailed information, especially if webmasters should notice these numbers going up or down in their reporting, or if it impacted in other ways. First, Google updated the AMP reporting. And they also updated the Rich Card reporting. Google may release more information on what exactly the changes are, but they might not. It is unusual that the notes on the page don’t include more information about what webmasters should expect with the changes. They also added a line within the Index Status reporting in Google Search Console to alert webmasters to the changes.